Russia proposed to replace Austrian UN peacekeepers who withdrew from the Golan Heights on the Israel-Syria border. However, the mandate of the UN mission does not allow Russia to do so, the organization’s spokesman said. Russia was ready to send around 300 peacekeepers to the Golan Heights, said Russia’s ambassador to the United Nations Vitaly Churkin. “We are talking about the replacement of the same number from the Austrian contingent, in other words about 300 peacekeepers or roughly a battalion,” Churkin said. While a number of UN Security Council member states welcomed Russia’s initiative, Churkin added that the parties concerned must give their agreement for Russia to send peacekeepers. However, the mandate of the United Nations Disengagement Observer Force (UNDOF), which has been in the Golan under the 1974 Israeli-Syrian agreement, does not allow Russia to deploy its troops in the area, said UN spokesman Martin Nesirky. “We are grateful to Russia for its willingness to send its troops to the Golan, but the disengagement agreement and the protocol between Syria and Israel do not allow the participation of the UN Security Council’s permanent member-states in the UNDOF,” he stated, as cited by RIA Novosti. Moscow’s proposal was voiced earlier on Friday by President Vladimir Putin. “In view of the complicated situation which is currently unfolding on the Golan Heights, we could replace the Austrian peacekeeping contingent, which is withdrawing from this region, on the disengagement line between the Israeli troops and the Syrian army,” Putin said on Friday. “Naturally, that will happen only if the regional powers show interest in our proposal and if the U.N. secretary-general asks us to do that,” he added. During his last visit to Russia, UN Secretary-General Ban Ki-moon asked Moscow to “bolster its involvement in the UN peacekeeping operations,” the president said. The UN would welcome Russia’s contribution to peacekeeping efforts in the region, UN deputy spokesperson Farhan Hak told RIA Novosti. The United Nations Disengagement Observer Force (UNDOF), which was deployed to the border region in 1974 to observe the Syrian-Israeli ceasefire, is “very important for maintaining the peace in the region,” Hak stressed. 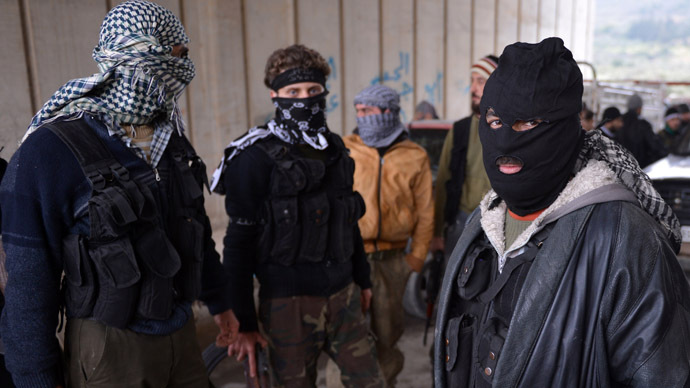 Austria withdrew its 377 peacekeepers on Thursday after the rebel Free Syrian Army took a crossing post operated by the UNDOF contingent near the Syrian city of Quneitra. 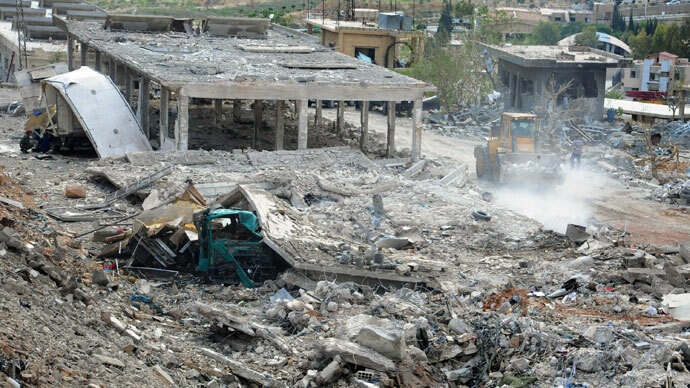 Syrian government forces reportedly retook the UNDOF post after a day of combat. 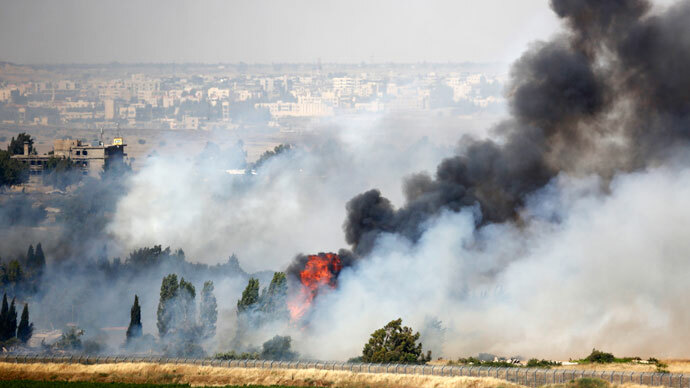 The Israeli-occupied Golan Heights was reportedly shelled in the process. One Filipino UNDOF peacekeeper was injured by a stray mortar shell during the fighting. 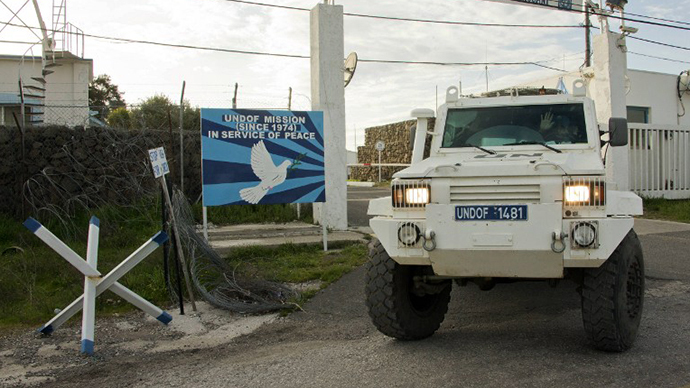 The Philippines is now considering pulling out its 341 peacekeepers from the Golan Heights. This is not the first time concerns have been raised about UN peacekeepers’ safety in the ongoing Syrian conflict. On March 21, UNDOF peacekeepers from the Philippines were abducted by the Syrian rebel group ‘Martyrs of Yanouk,’ who demanded that Syrian government forces withdraw from the border. All were later released following negotiations. 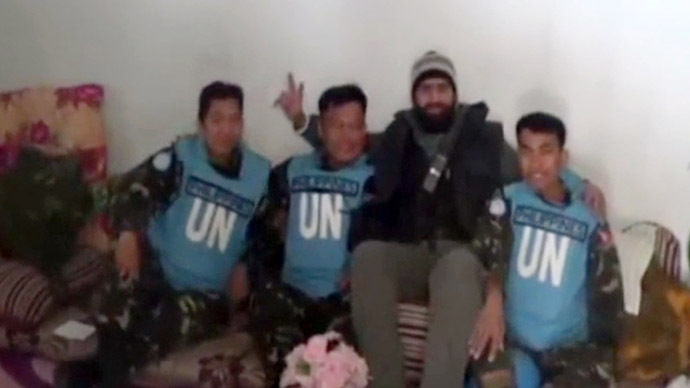 In May, four more Filipino peacekeepers were captured by the group, with the rebels claiming they were protecting the soldiers from the Syrian army. The UN Secretary-General Ban Ki-moon has strongly condemned the detention of the peacekeepers, and called on all parties to respect the UNDOF’s freedom of movement and safety.